The 2020 Toyota Supra has been a bit of a mystery. We have a general idea of some of the features and specifications it will offer, but Toyota has been keeping this redesigned sports car tightly under wrap before its big reveal in 2019. However, Motor Trend recently got to take it for a spin and they have more details on what this incredible ride will be bringing to the table when it’s finally up for grabs. Check it out! What will the 2020 Toyota Supra have to offer? It will weigh less than 3,307 lbs, which means major maneuverability will be yours when you’re in the driver’s seat. It has a launch control system that allows drivers to get from 0-60 mph in less than 5 seconds. It has a 50/50 weight distribution and a lower center of gravity than the Toyota 86 (which is pretty dang low). It has a specially tailored front strut, multi-mode adaptive shocks, anti-roll bars, rear multi-link suspension, bump stops, and electric power steering for ultimate control. 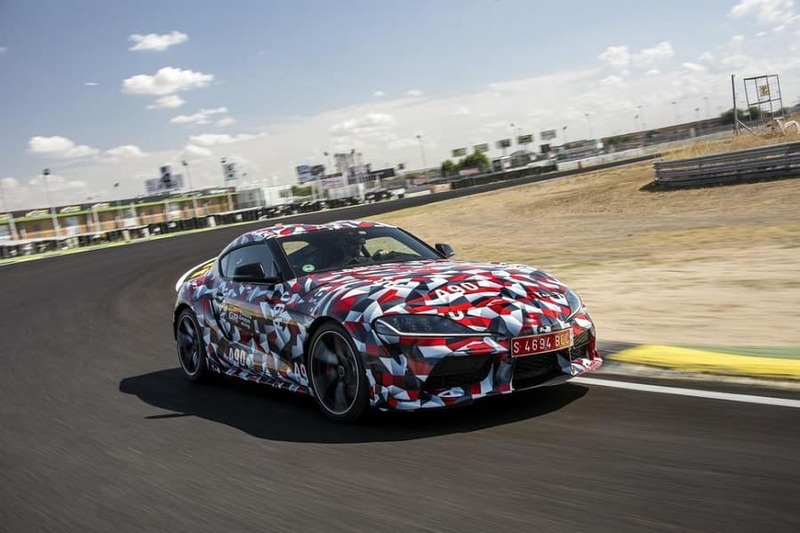 The 2020 Toyota Supra will offer at least 300 horsepower and a front-mounted inline-six engine, although Toyota still won’t give any other exact specifications. It will share characteristics with the BMW Z4, including track width, wheelbase, tires, transmission, differential, and engine. However, although they’re the same, these elements were tuned and calibrated differently. This Orlando Toyota offers a supremely quiet cabin with very little road noise or wind noise. We know we can’t wait to get our hands on this Toyota sports car when it arrives mid-2019. Motor Trend was pretty impressed when they got behind the wheel, too. They praised this new Toyota for its responsiveness, its quiet cabin, fluid performance, and smoothness when it comes to shifting. What are you waiting for? If the drop date for the 2020 Supra is too far out for you, get your hands on an affordable sports car today at Toyota of Orlando. We’re conveniently located just off I-4 near the Millenia Mall at 3575 Vineland Road!